In a recent ExchangeWire Research Roundup we reported that in 2015, global ad blocking will result in a record loss of £14bn in revenue. 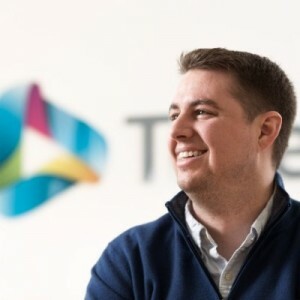 In this piece, Ian Monaghan, director of EMEA operations at TubeMogul (pictured) discusses exclusively with ExchangeWire how marketers can move on from the ‘doom-and-gloom’ predictions and minimise the impact ad blocking will have on brands’ online advertising performance. ‘Ad blocking’ collectively refers to software that users can download and install to prevent digital ads from appearing on computers and mobile devices. Ad blocking technology can prohibit both display as well as video ads from appearing, making it a wildly popular option for consumers who prefer an ad-free experience when surfing online – especially millennial males. In fact, up to 23% of millennial males aged 18-24 use ad-blocking software on a regular basis, according to the results of a report unveiled at an IAB event earlier this year. The recent growth in adoption of ad blockers can likely be attributed to both the proliferation of digital ads as well the relative ease and affordability of downloading and installing ad blocking technology. Millennial males consume up to 20% more content than the average of other demographics, and subsequently do their best to remove advertising from their screens. Fortunately for advertisers, the increase in the number of available video ads far outpaces the increase of ad-blocking adoption. Although recent reports state that one out of five of all ads served in Europe and the US are now proactively blocked by web users, in the 12 months leading up to June 2015 the total number of available impressions in the TubeMogul platform grew by 350% over that same time. This means that there is more than enough demand to offset an increase in the number of people blocking ads. Essentially, what we are saying is that a certain number of consumers can run but we will never reach a point where all of them can hide. 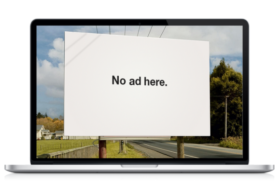 Most ad blocking technologies have a whitelist of publishers that have created ad experiences that aren’t detrimental to user experience – namely, desktop pre-roll video ads that precede content where the viewer has demonstrated their intent to watch. Similarly, many premium broadcast-quality publishers proactively detect the presence of ad blockers and require viewers to disable them in order to watch content. We also expect that publishers with unique and compelling content will naturally be whitelisted. Finally, as automated buying continues to help advertisers make ads more relevant and engaging for viewers, ad blockers’ popularity and prevalence will moderate. Ad blocking is already an issue in other media formats, we just don’t have a specific term for it. Print readers turn the page when they want to avoid an ad. TV viewers put the box on mute or walk away to make a cup of tea. We all have our ways of blocking advertising influence. We just don’t refer to it in a formal manner. Apple’s announcement that they will allow ad blocking software to run in Safari’s mobile browser has caused some concern – but we feel that this worry should be limited. While Apple’s move might have some impact on mobile web ads served within browsers, we believe that mobile ads overall are unlikely to be materially affected for a simple reason: 88% of time spent by smartphone users occurs in mobile apps. Ad blocking technology will not work within app environments, so the bulk of mobile ads should not be impacted. The rapid growth of available inventory across all formats noted above means delivering ad campaigns has not been a material concern, despite rising adoption of ad blockers. The percentage of ad spend across the TubeMogul platform directed to inventory from TV-centric premium publishers has grown steadily in recent quarters to approximately 20%. Mobile spend through our software increased over 50% from Q1 to Q2 of 2015. Collectively, spend across non-desktop pre-roll formats (linear TV, connected TV, smartphones, and tablets) represented about 20% of the total ad spend on our platform in Q2, making them our fastest-growing formats – and, crucially, the least likely to be impacted by ad blocking technology. As the market evolves, this undeniable truth is worth keeping in mind: ads enable free content. It’s very unlikely that publishers that rely on ad revenue for their very existence will allow billions of dollars to fall by the wayside and eradicate their business models. In parallel, media buyers will continue to use a multitude of ad inventory sources to help them reach consumers and drive their marketing objectives.